I have been reading Daring Greatly, by Brene Brown. 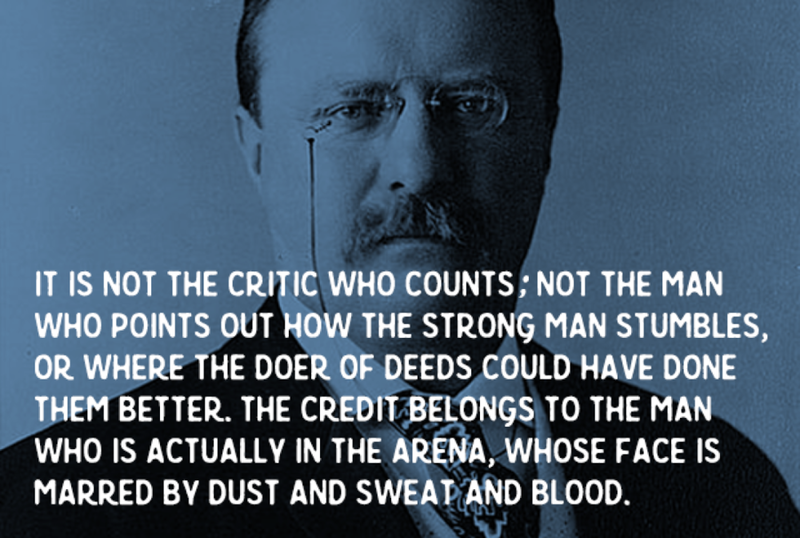 She references this quote from Theodore Roosevelt. Its spot on. Do your thing, relish the opportunity to take action, care less about the critics and more about your brothers/sisters making effort to get better. Older PostWhats up with training standards for our youth athletes?